Ace Frehley plans on touring in the Spring with an all new "All Star" band. He will also launch an official website soon that he hopes to sell his next CD on. No time table for when the CD will be done but it might be a 3 CD set with some different styles of music and maybe an all covers CD. 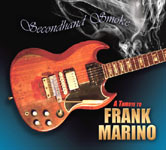 WildMess Records has released a tribute to Frank Marino of Mahogany Rush. Karl Cochran played guitar, bass and sang on the "Dragonfly" track with Eric Singer. Artists include George Lynch, John Norum , Audley Freed, Jennifer Batten, Ronnie Montrose and Randy Hansen. The track listing has been revealed for the new ACE FREHLEY (ex-KISS) compilation titled album, "Greatest Hits Live", due on January 24, 2006 via Megaforce Records. 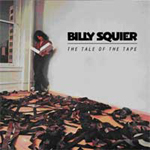 According to a press release, this CD "represents some of the best work from legendary KISS guitarist Ace Frehley during the period after his highly publicized departure from one of the greatest rock bands of all time." As with the previous Megaforce ACE FREHLEY releases "12 Picks" (1996) and "Loaded Deck" (1997), Ace himself had nothing to do with putting this package together. 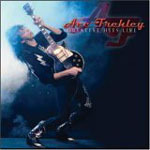 "Greatest Hits Live" features members of ACE FREHLEY'S COMET: Anton Fig (drums), John Regan (bass), Tod Howarth (guitar/keyboards) and Richie Scarlett (guitar), and Jamie Oldaker on drums..
“Modern is a scary word,” opines Stanley, when asked for a characterization of the record. “I would certainly say that it is very much in keeping with my personality and keeps a very consistent viewpoint, but it sounds really big and the songs are great.